All new patients will need to fill out our intake & consent form prior to their first visit. An MD order is not required to initiate therapy. 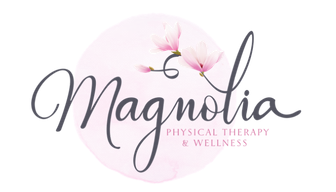 For new patients, fax this form or a demographics sheet to our office at 404.855.4206 or use our secure e-mail: referrals@magnoliaptw.com. For people living with Parkinson’s Disease. For people experiencing dizziness or vertigo. For people experiencing falls or a single fall with injury. Download and complete this form if you are suffering from pain or disability to the shoulder, arm, or hand. Download and complete this form if you are suffering from back pain or disability. Download and complete this form if you are suffering chronic headaches. Download this complete form if you are suffering from pain or disability of the leg. Download and complete this form if you are suffering from neck pain or disability. Download and complete this form if you are suffering from urinary incontinence (urine accidents). Chart your experience across the last four weeks. If you suffer from incontinence, download this form and chart your voiding and accidents across three days. If you suffer from urinary accidents download and complete this form to help determine if you are suffering from stress incontinence, urge incontinence, or an overactive bladder.